And she is right, for the Crazy Rich Asians saga is set in a milieu that was never explored in fiction until the first book was published in 2013. The author himself affirms this; he feels people were initially drawn in by the sheer novelty and aspirational qualities of the world within his pages. In the seventies and early eighties, life in Singapore was very different from how it is today. The shadow of its colonial past was still deeply felt by its residents; hence the vibe was more relaxed, and there was little to no pressure on the young when it came to their studies. 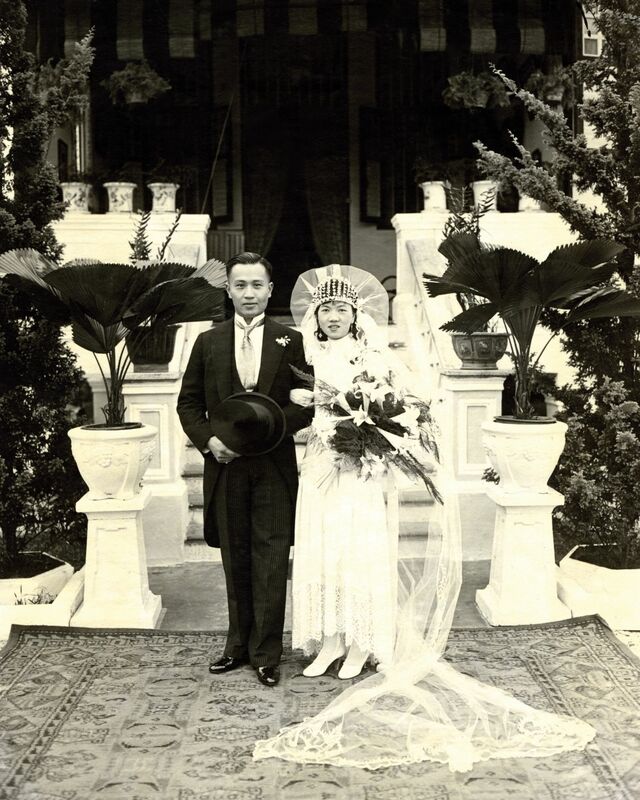 The Kwan family’s roots are significantly entrenched in that of Singapore’s: Kevin’s great-grandfather, Oh Sian Guan, was one of the founding directors of Oversea-Chinese Banking Corporation (OCBC), the country’s oldest bank. Reverend Paul Hang, his maternal grandfather, founded the Hinghwa Methodist Church. His paternal grandfather, Dr Arthur PC Kwan, was the first western-trained ophthalmologist as well as the Commissioner of the St John’s Ambulance Brigade. Well-known for treating the poor free of charge at his clinic, he was awarded a knighthood by Queen Elizabeth II for his humanitarian services. His grandmother, Egan Oh, was an elegant and imperious lady who was more traditional in her ways. Though she was the disciplinarian of the household, she also had her gentle side, which often showed whenever she would recount fascinating stories from her youth. It was she who would instill in her grandson a sense of self-respect and pride in his Chinese roots. Because Kevin lived with them from the day he was born to the day he moved to the United States, he remained very close to his grandparents. Like the Young, T’sien, and Shang families in the books, the Kwans had their own customs. Kevin distinctly recalls how each year, their household would be buzzing with activity when it was time to make zhong—sticky rice dumplings stuffed with various fillings wrapped in bamboo leaves—for Dragon Boat Festival season. The gardeners would hack down leaves from the bamboo hedges and soak them in water. The cooks would then prepare huge vats of glutinous rice and different fillings—some sweet, some savoury—and the marathon dumpling wrapping sessions would begin. By the end of the week, the Kwans would be distributing the treats to relatives and friends. “It was a very Huck Finn kind of life,” says the author of his childhood. When not in school (he went to the Anglo-Chinese School [ACS] on Barker Road), he could be found whiling his time away outdoors, biking around the neighbourhood with his gang of friends. At that age, he did not have a concrete idea of what luxury was. “I grew up in an old house filled with old furniture, and I was afraid of going downstairs after dark because everything seemed creepy,” he adds. He only began to recognise his own privilege after they left for the United States, where his world became one of suburban neighbourhoods, smaller homes, no household help, and certainly no airplanes in the backyards. Reactions to Crazy Rich Asians have run the gamut. A number of his cousins love the books and have been supportive of Kevin since day one. Some aunts and uncles don’t quite understand what the fuss is all about. His number one fan is his mum, who does a wondrous job of convincing even total strangers to get copies of their own (“She really should be put on my publisher’s payroll,” he quips fondly). Among readers, it has reached cult favourite status. He has heard anecdotes of people using the books as shopping or eating guides, or as reference points to some capacity when designing homes or planning weddings. Kevin is humbled by the experience, happy to be sharing the honour with many of his own longtime heroes, as well as grateful for the incredible levels of support he has received from readers all over the world.